My blog post Tips in going to Medical Residency has been drawing in some readers of late. 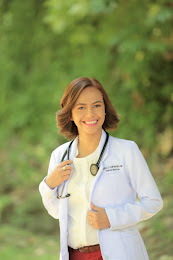 Since it was merely a humorous recount of how my good-natured mother gave her well-meaning advice when I was at a crossroad, trying to answer where to apply for residency in Cebu City, I decided to get to a more serious business this time of giving tips for those who are about to encounter this crossroad in their budding medical careers. 1. The choice of hospital is the most crucial decision. Each hospital offers a training program distinctly unique from other hospitals. The size of the training program is also closely related to the hospital bed capacity. So if you want a bigger program, meaning more residents within a program, you might as well take on the big hospitals. 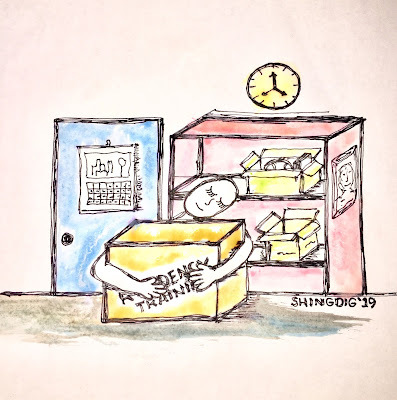 Among the big ones, there is the big training program with (sadly) lesser guidance, academically, from able consultants and there is the big training program with adequate guidance from the medical experts in their respective fields. For smaller programs with smaller hospitals, the work load may not be as heavy as those in big hospitals, but this may also affect your exposure to different cases in our field of specialty. Wherever you choose to train, let me impart to you an Indian Proverb -- "It's the Indian, not the arrow." Everything depends on you and wherever your decision brings you, it is how you play the ruthless game that is called residency. Taken during one of my nocturnal duties at the hospital. I trained in the base hospital of the medical school from which I graduated. Here I grabbed a bite of pizza, a going-away treat of one of the nursing staff. 2. You must at least have an idea of the people you will be working with as a slave in the next three years of our life. It's good to go into residency training with people whose work ethics you already know from the start. Beyond that, it's even better to surround yourself at work with friends, trusted friends whom you will enjoy learning with, knowing that whatever happens, they will be with you through thick and thin. So if you have suspicious characters with potential talent of wrecking the already havoc-wrecked residency, maybe you'd like to think things over again. 3. The art of tightening one's belt. Residency is not really that rewarding when it comes to the financial aspect. Your brain gets fatter but you can feel your pockets grow shallower everyday. I personally can attest to this since, I have been to residency twice with a long streak of moonlighting in between. Moonlighting, which means, you go on duty in a certain hospital, you work as an employee but you are not under residency training, can actually rake big bucks of money you haven't known all your life unless you were born with a silver spoon and already held money in six-figure amounts with your own hands. Some could even buy a second hand car within 1-2 years of moonlighting. During my (rich) moonlighting days, I could actually buy what I wanted, which is way different than now that I am in residency training wherein I really have to try my best to tighten my belt. I will probably confess to you in the future when I have enough courage, my struggles and survival strategies as a financially-challenged resident physician. Consultants who have been to the same situation during their residency, try to uplift the residents' spirits by saying, "The money will come later." A tiny spark in a long tunnel. Some sort of assurance that better days are yet to come and the state of near-bankruptcy of most residents will not last forever. There is some truth to that, I believe, because if there is one consolation that a doctor has, that is a financially comfortable life, maybe not really filthy rich at all times for most physicians, but a comfortable life with enough financial cushion. So think, that the money will come later, and they will come pouring in if you are a good doctor who really know your craft, and the way to start mastering your craft is doing your best during residency, which is the ultimate venue for training and preparation for the real battleground which is practice in the outside world. To moonlight or not to moonlight? You might want to read more about moonlighting in the Philippines here and here. 4. The art of mastering the blunt affect. As a resident, you will be subjected to a lot of humiliation from patients, their families and/or significant others, from your consultants, and even from your co-residents. You must master the art of maintaining a blunt affect, and try to keep your slip of vulnerability from showing. Most of these episodes are usually due to certain lapses of management of the patient's cases, and so the best thing to deal with humiliation and wrath from people from work is to just pick yourself up from the floor, pick up the pieces, and move on. It's actually easier said than done. But trying to smile, and even feigning it at the beginning will somehow get you through. Just remember the lesson, and hold on to it, that's all. Three things to remember: Your utmost priority is the patient. You are there for the patient's welfare, make sure he feels better than when he first walked into the Emergency Room. You are there to comfort the patient, or give relief to whatever ailment he has, and in the worst case scenario, keep him or her alive by all heroic means, until the family is finally ready to let the patient go. 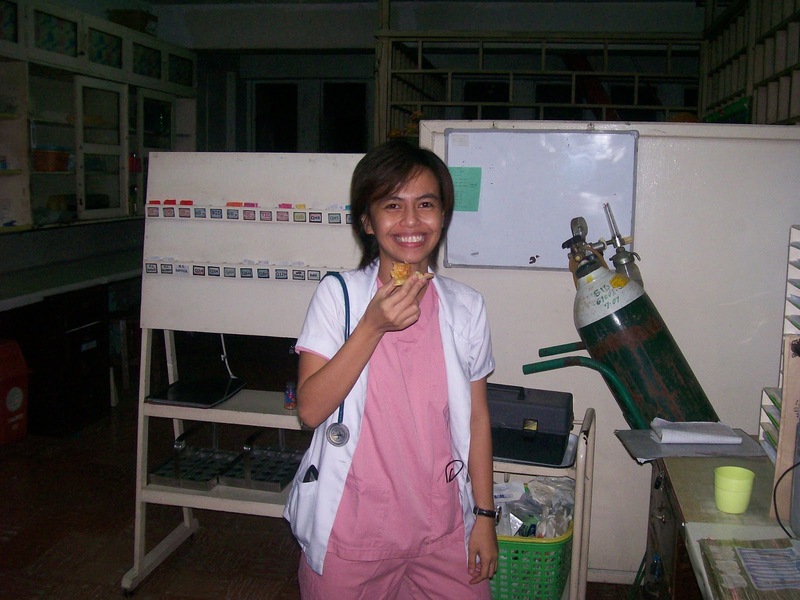 Read more about my journey called residency training here and here. More tips in residency training on this side, too. 5. 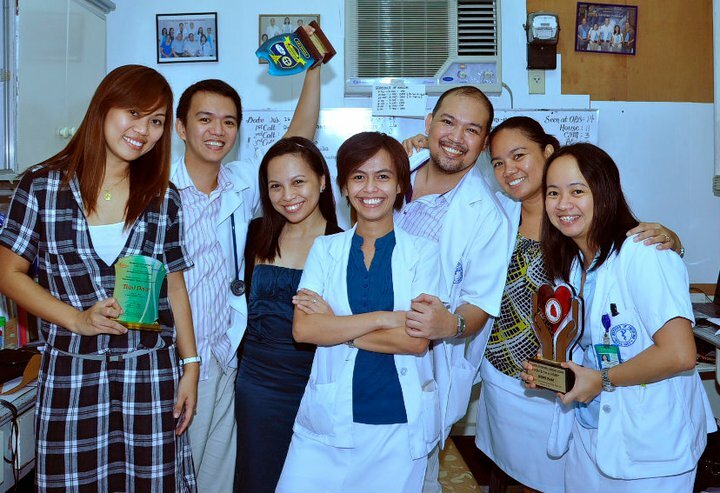 There is no other way to go but into residency and therefore learn to make the most out of it. In residency, you should be willing to learn because that is what you came there for. However, willingness to learn is not enough, as the enthusiasm fades once in a while, with all the psychological warfare and physical battery you will go through in training. It goes beyond just enthusiasm because it is actually your responsibility to learn. A consultant once advised us in the department to read your books as much as you can during your duty hours so you can do whatever you want and have a life when you are off-duty. A pretty helpful advice, although at the same time a pretty tall order. Residency, therefore, is a real challenge. Are you strong enough for it? You have to be. Cowardice and quitting are not options. Good luck to all of us! One sunny moment during residency training. Hello V.K. Sinha, thank you for dropping by my blog. Keep visiting. Thank you, Robert! Keep visiting.